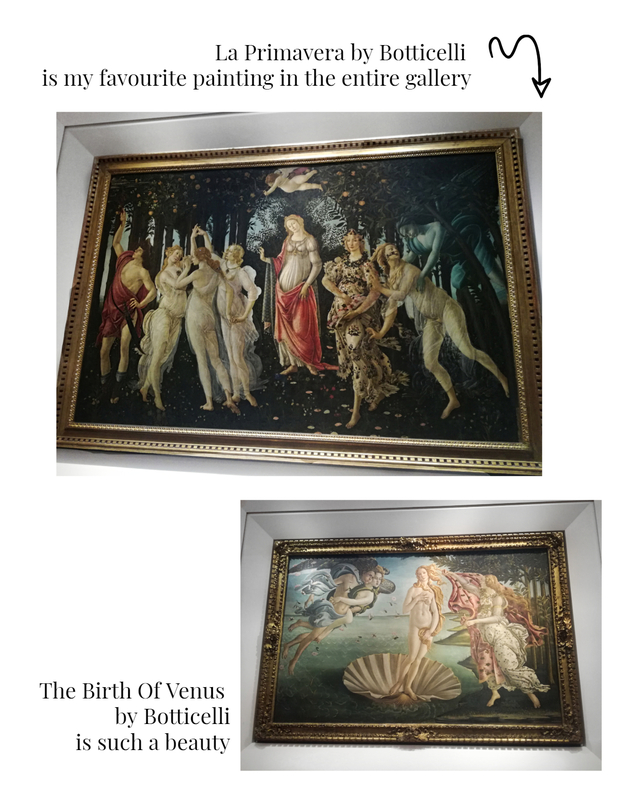 Have you ever explored Florence and visited the Uffizi gallery? 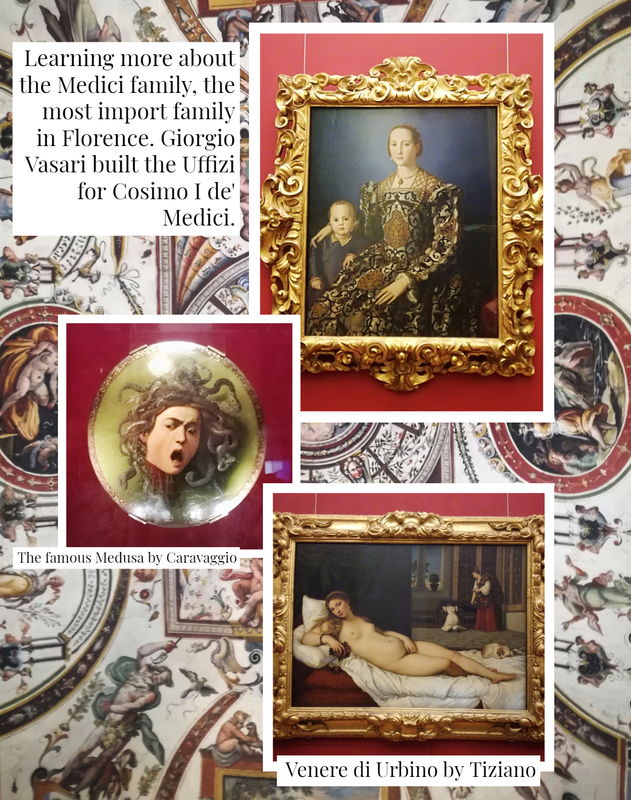 If you are a fan of the Italian culture and you want to discover more about my experience with The RomanGuy's tour at the Uffizi gallery, just keep on reading. 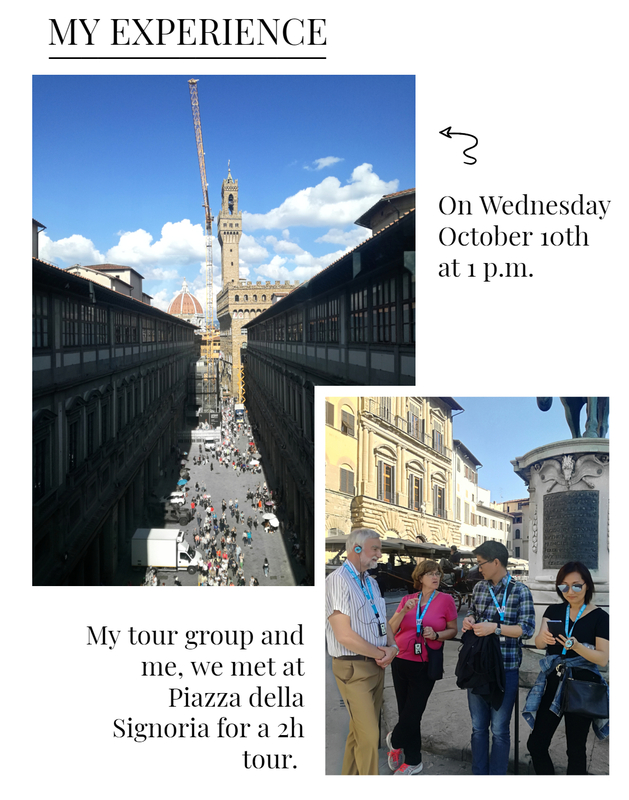 As you know I live in Rome, but for the month of October 2018 I temporarily moved to Florence because of a few work things and when The Roman Guy team asked me to take part to one of their tours in Florence I was super excited because I'm always thrilled to see new places and live new experiences. The Roman Guy is a tour company based in Rome that offers museums, local food and walking tours in Rome, Florence, Amalfi and Venice. 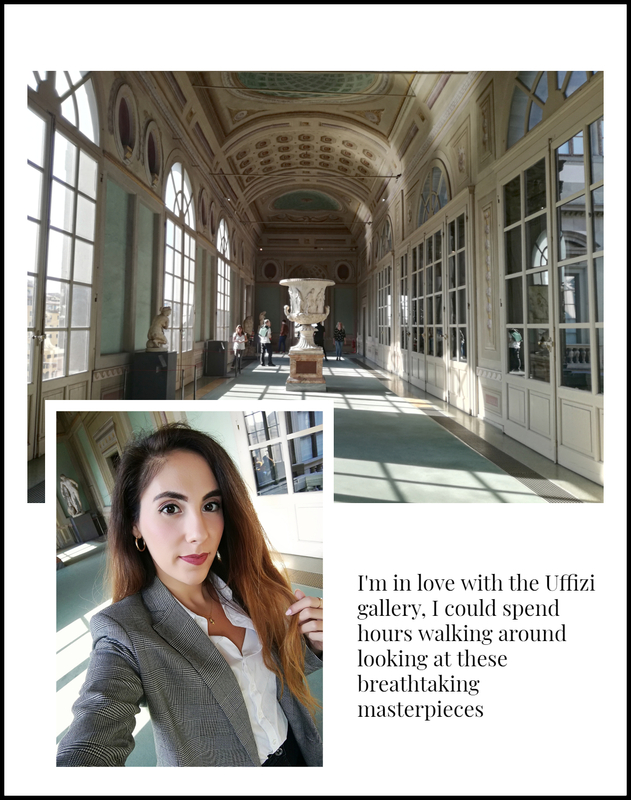 I chose the Uffizi tour because I'm an art lover and I've never visited this museum before, which is known as most famous and beautiful gallery in Florence featuring art pieces from the best Italian Renaissance artists. WHAT DO I THINK ABOUT THE TOUR? 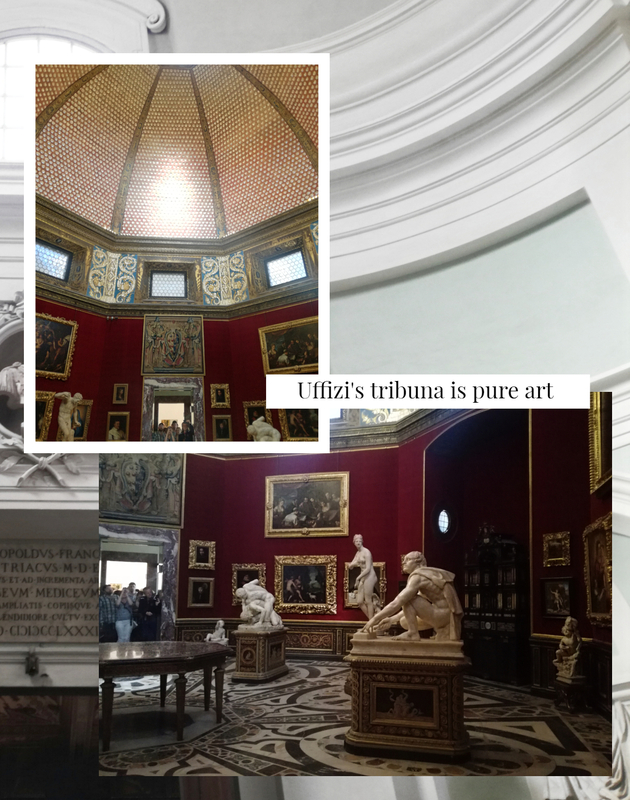 First thing first, I have to say that the Uffizi Gallery is one of the most beautiful museums I ever seen in my life and it is worth a visit. With that being said, I totally racommend this tour not only because it gives you the chance to explore the gallery in an efficient way, skipping the huge line and seeing a selection of the most important art pieces showcased in the museum (avoiding you to get lost in the crowd), but also because Alessandra, the tour guide, described to us each artwork in a simple yet professional way, mixing art related infos with details about Florence history and culture. I usually prefer exploring new places and museums on my own, so The Roman Guy tour was such a positive surprise for me! 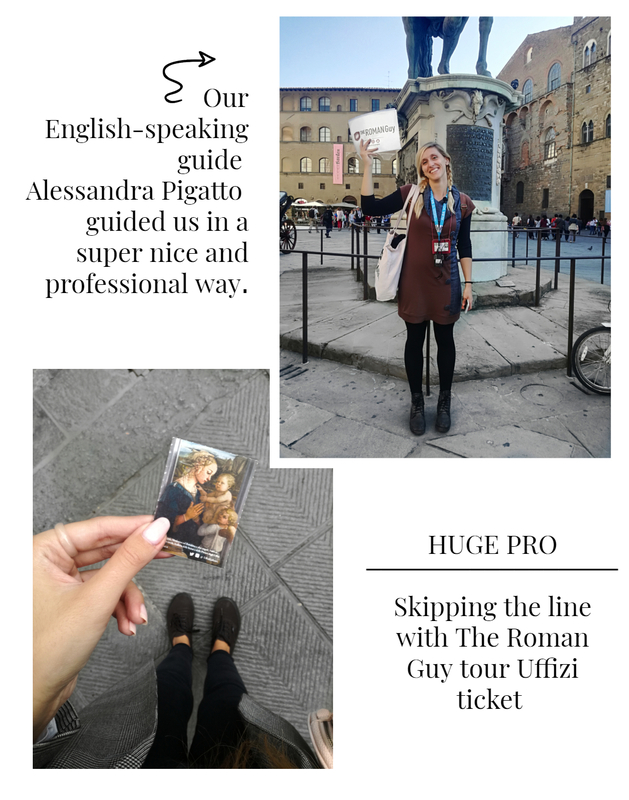 If you are planning a trip to Italy or you are just curious to discover more about The Roman Guy tours,check out their website. 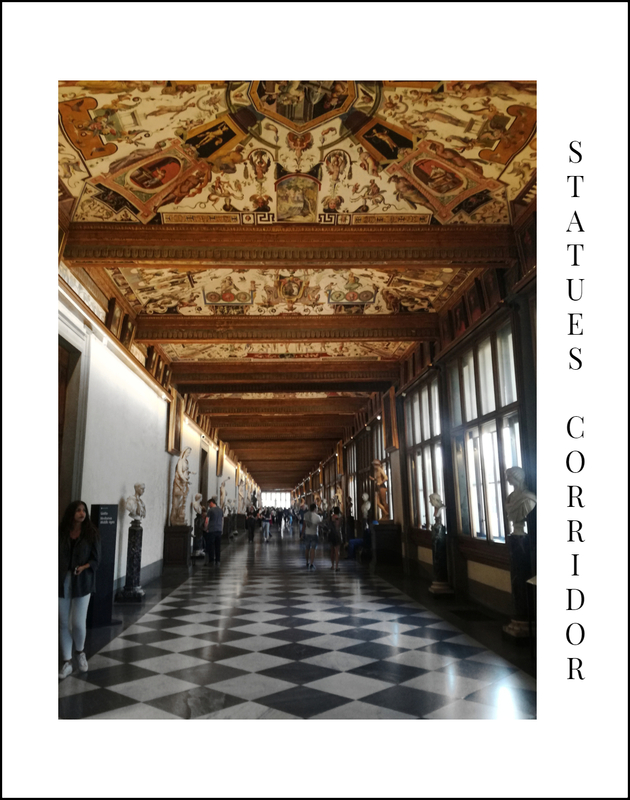 I hope you found my “A Tour at Uffizi Gallery in Florence” blog post interesting. 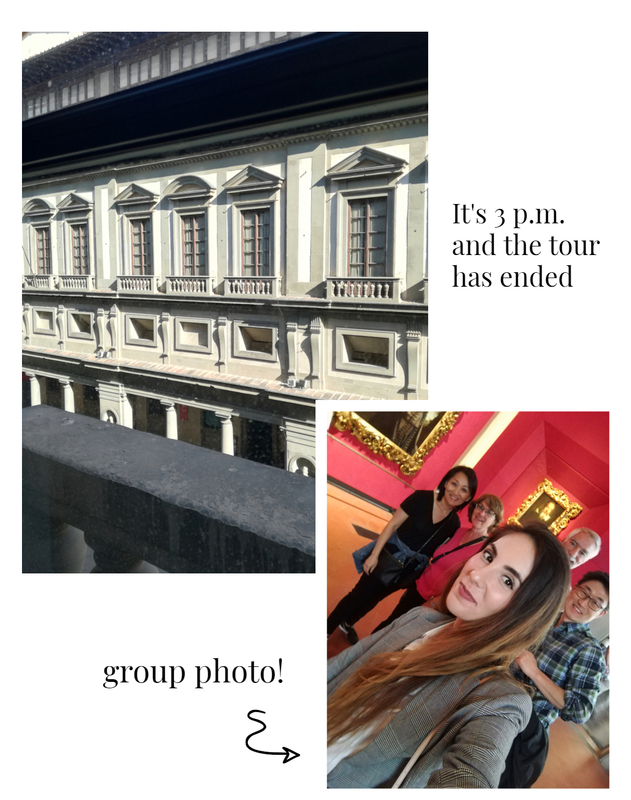 Let me know in the comments down below if you ever visited Florence and the Uffizi gallery, and also what do you think about The Roman Guy tour. I so love your boss lady look, its killer! Hello!!! Great post. I love Italy! I would love to visit Florence! I love these pics and your plaid blazer! This gallery looks very fab! 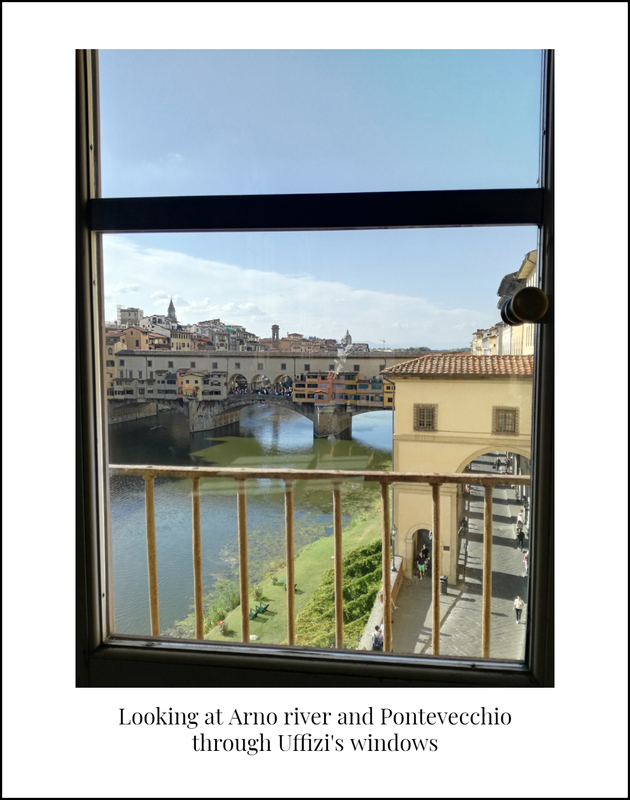 I've been to Florence but not to the gallery. Love your pictures. And that gallery looks amazing. 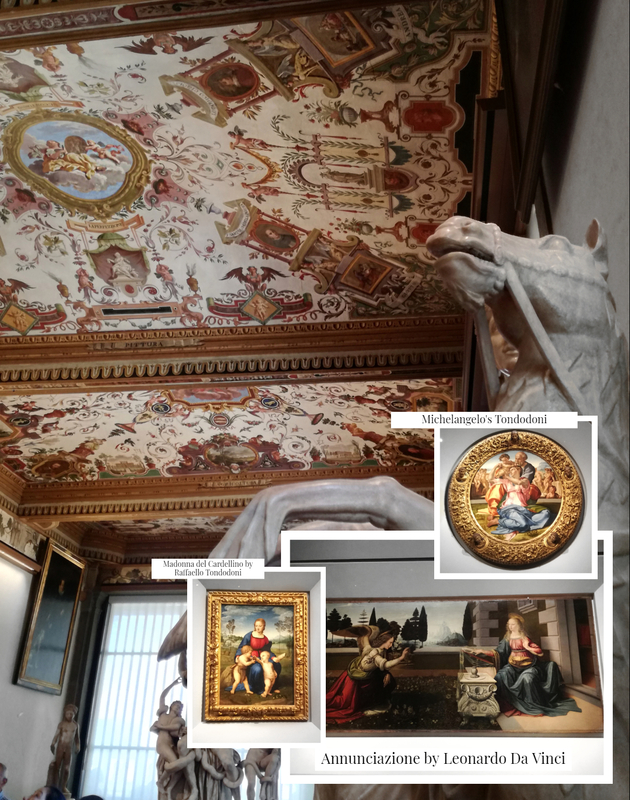 The Uffizi is so beautiful. How lucky you are to live in Italy!! Beautiful post. 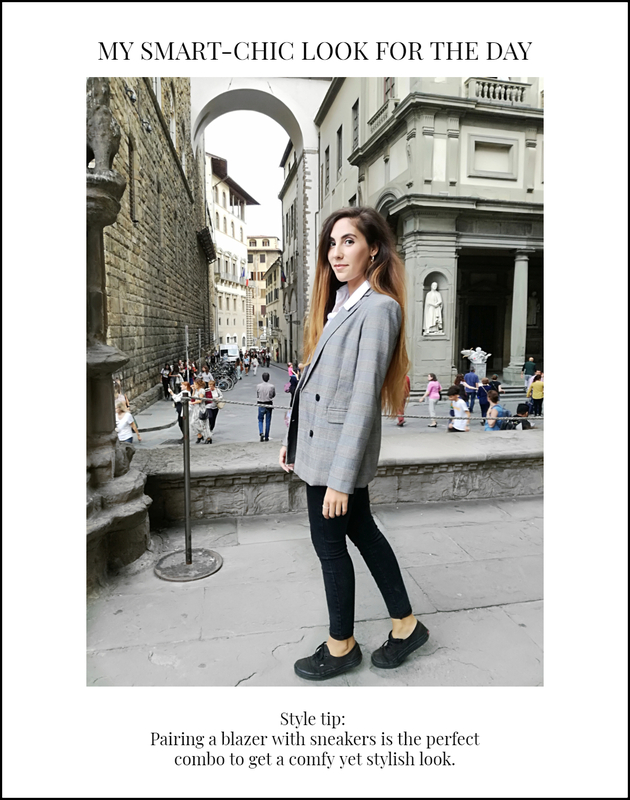 Che bel tour, Firenze è meravigliosa e il tuo blazer mi piace tantissimo! I like the cool look with the blazer! 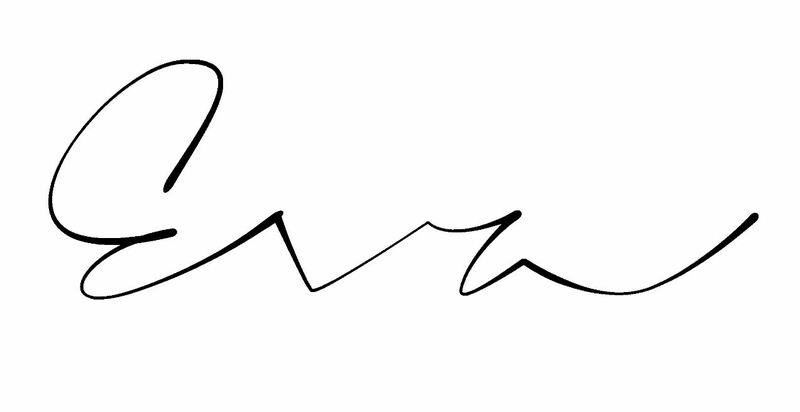 Thank you so much Eva!! :) I'm so happy that you liked my outfit with the seagreen shorts and the vintage styled shirt! Love the bag too, with those pompoms and tassels and the suede-like touch, I couldn't resist to it, hehe. 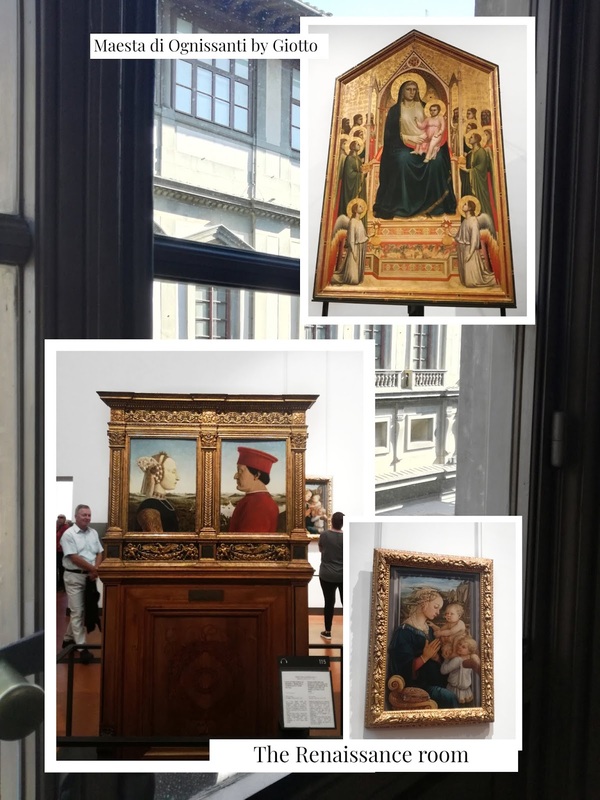 vorrei visitare Uffizi gallery adesso! Sono bellissimi questi dipinti. Mi piace molto anche il tuo outfit, e' cosi chic. So great that you got to be part of this tour. Usually that way we learn a lot more and see more because having a guide is very helpful. Such a great post and photos. Gallery looks amazing. 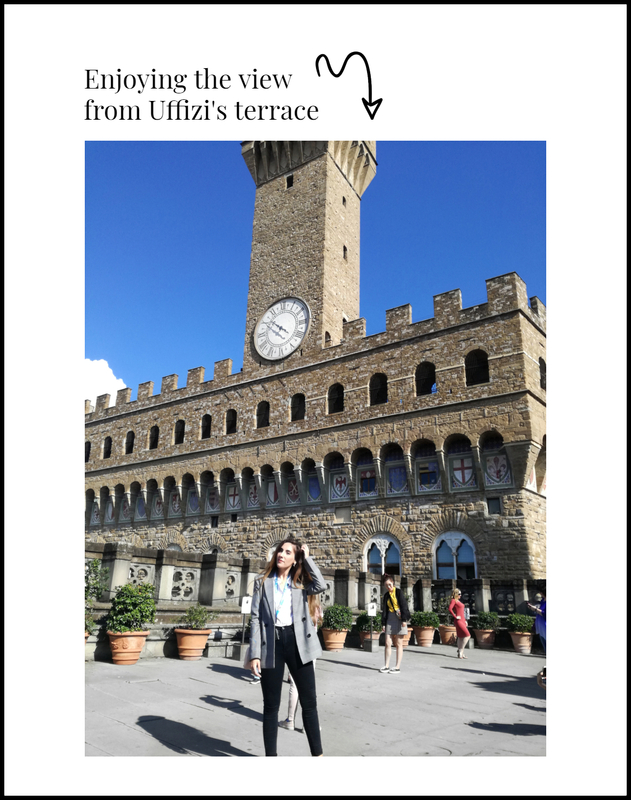 Thank for your travel guide information because next year I plan visit Florence. 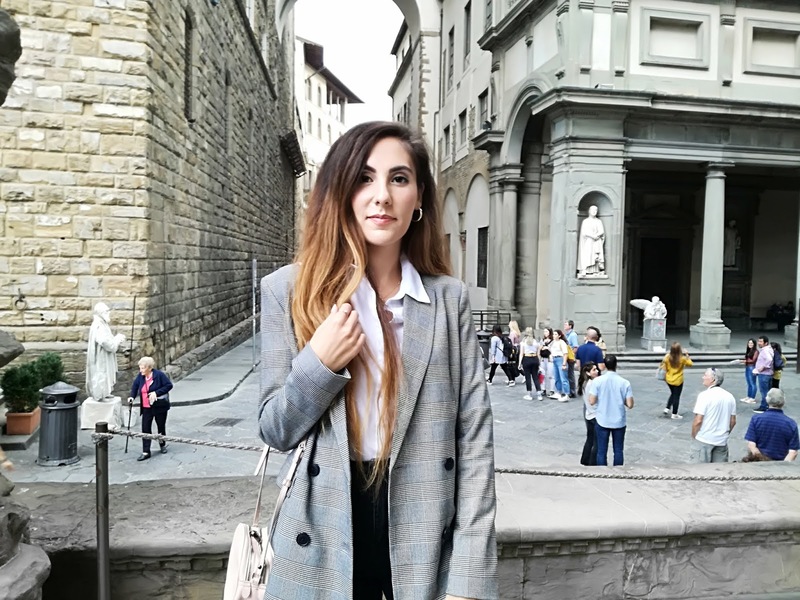 non ci sono mai stata in Uffizi,devo recuperare.Hai blazer molto bello ,mi piace la stampa.